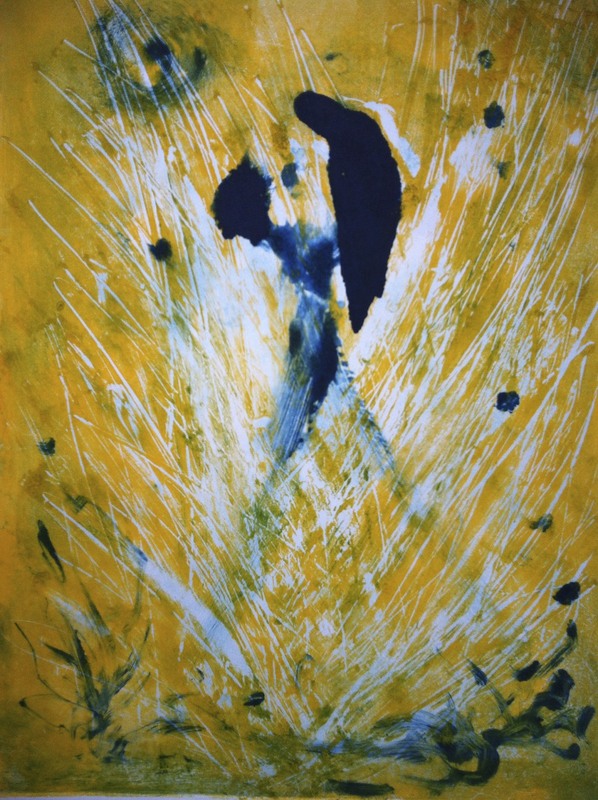 I am presenting an encaustic monotype series that evokes sea, sky, horizons. 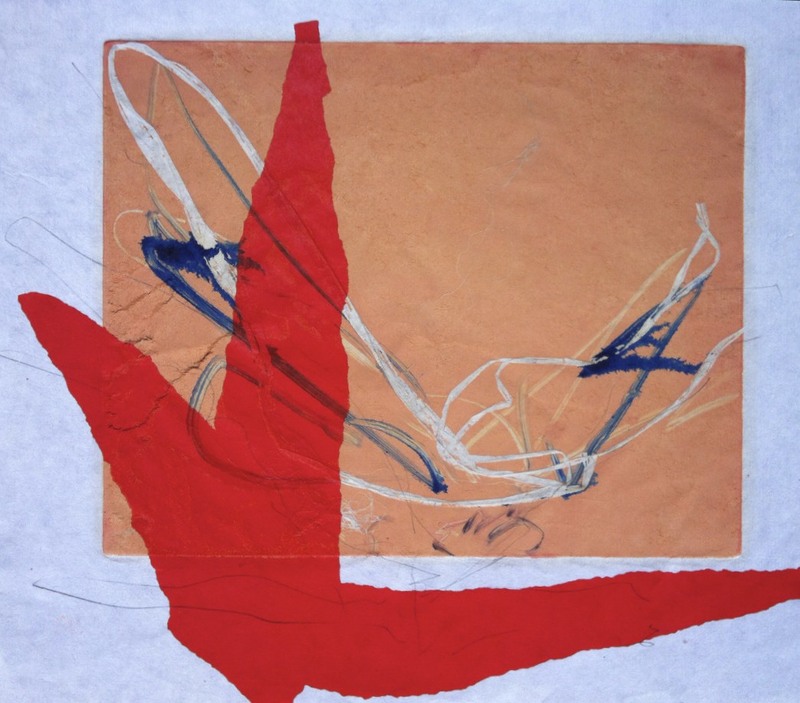 Harvest of the Heart is a body of work that came to be in nature (more on that in my post) , and later on in the studio it grew, emerged from pools of molten wax, spreading and sinking into paper – along with a touch of pen. It evokes bounty, harvest, ripeness and my childhood roots in the country side in France. 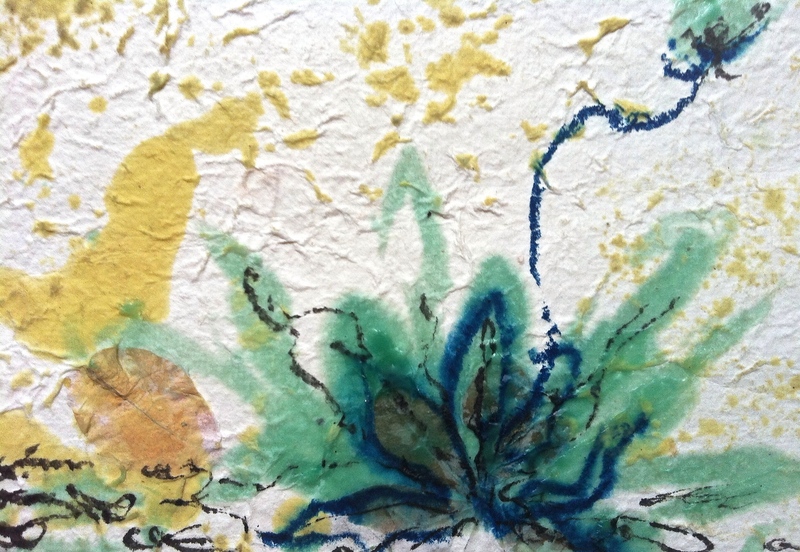 One of my piece “Abundant Life – Fullness I” – an encaustic mixed media on paper (one with leaf inclusion) is offered at The Museum of Northwest Art in La Conner, WA for their silent auction this upcoming weekend, June 19-21. 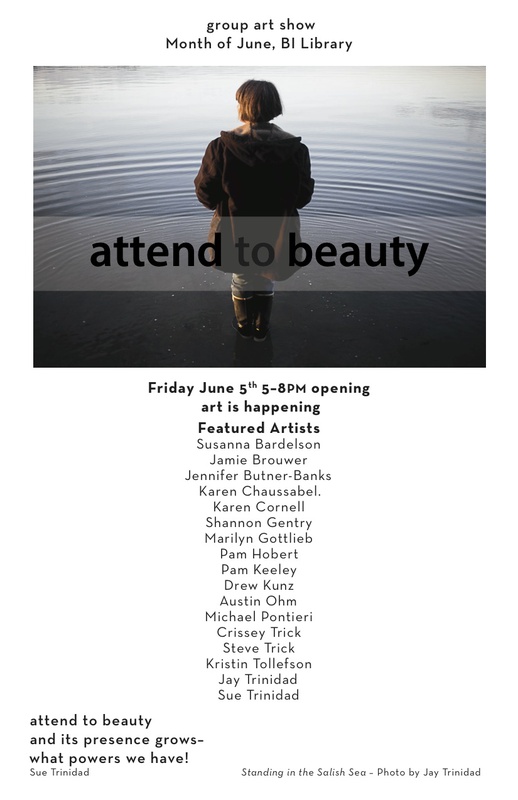 They have an amazing selection of work from local artists and I am honored to be part of this event. 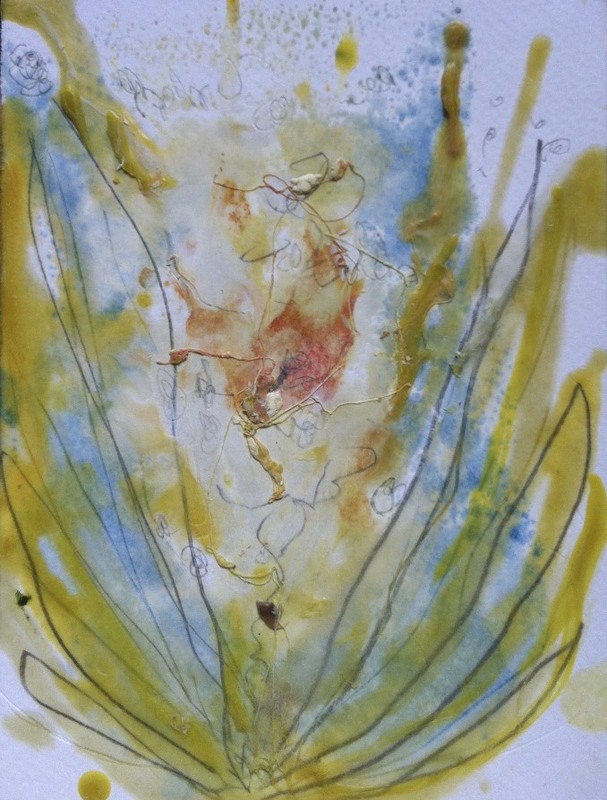 My pieces reflect the way that materials, thread and encaustic especially, guide my process, enable me to express and cultivate my voice. 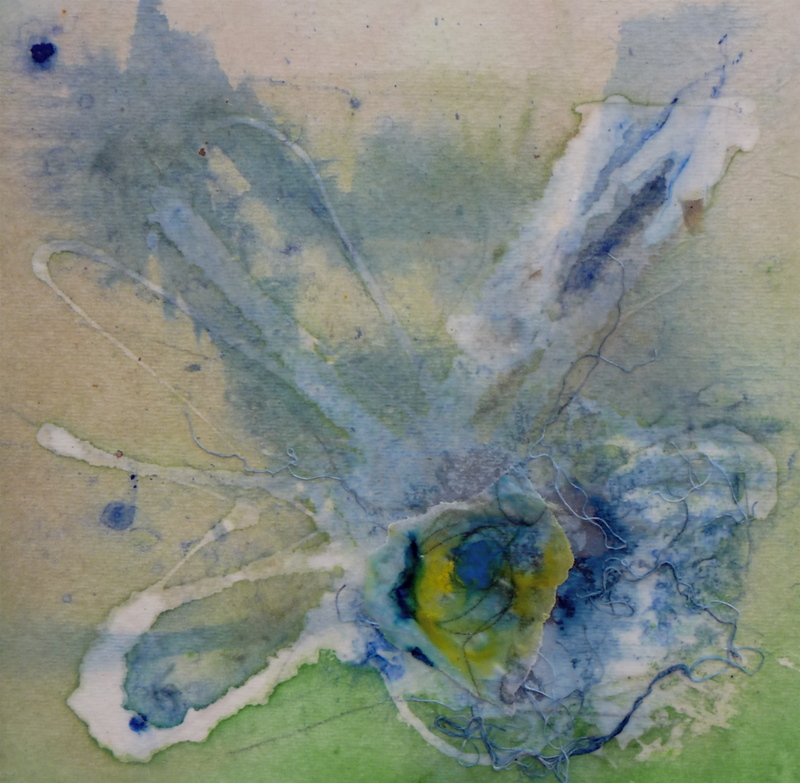 I have been invited to join The Island Gallery – here on Bainbridge Island – and I am excited for my upcoming debut there in July! Details forthcoming. I’m looking forward to your presence. 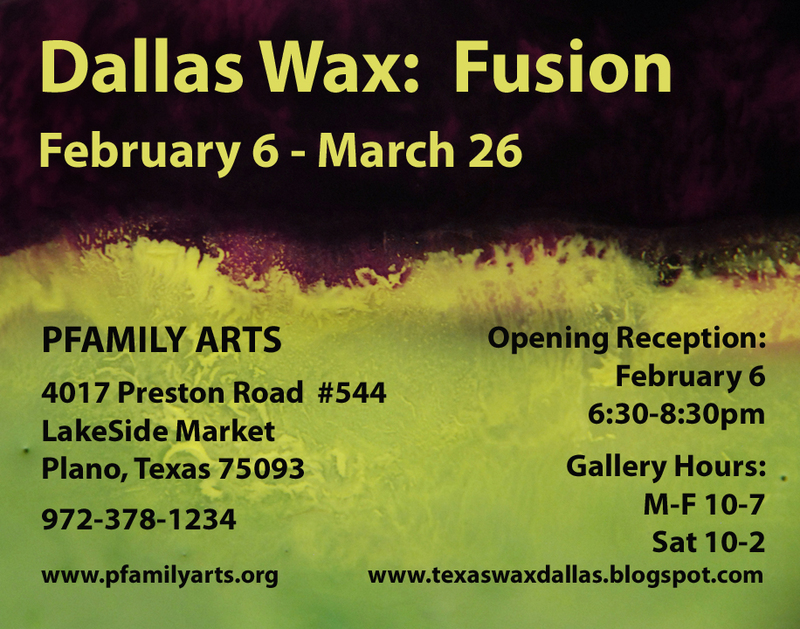 Starting the New Year at PFAmily Arts in Plano with Dallas Wax: Fusion. 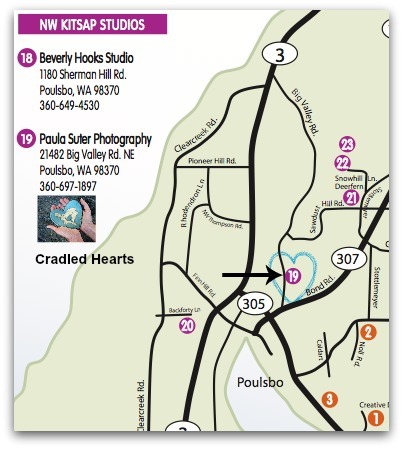 Join us for the opening on February 6 from 6:30 to 8:30PM. I will be there from 11AM to 3PM. 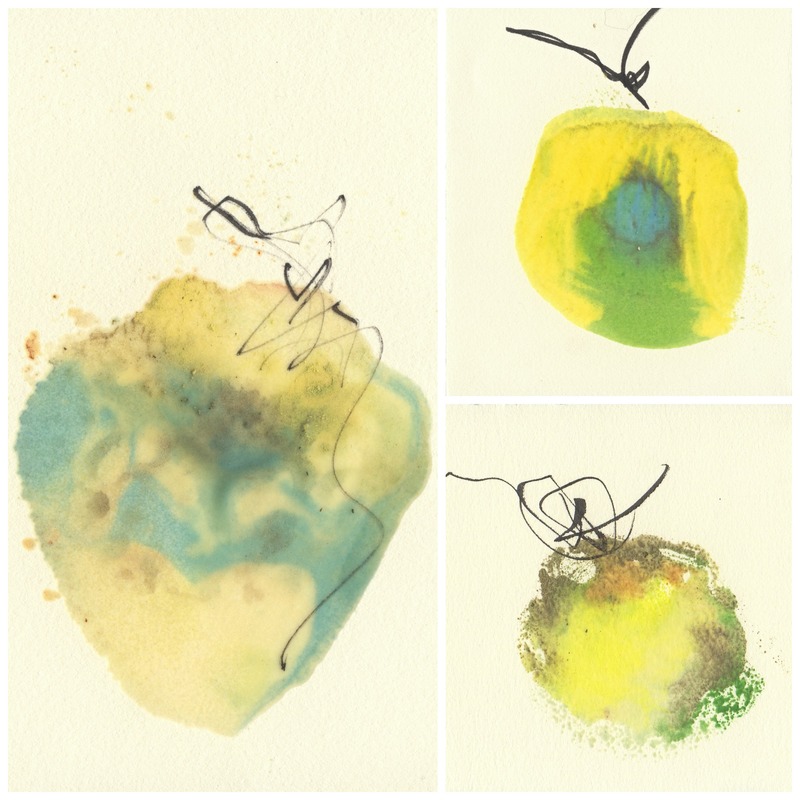 I am bringing small unframed monotypes of a series called “Harvest of the Heart.” It comes in tones of blue, yellow and green and orange. 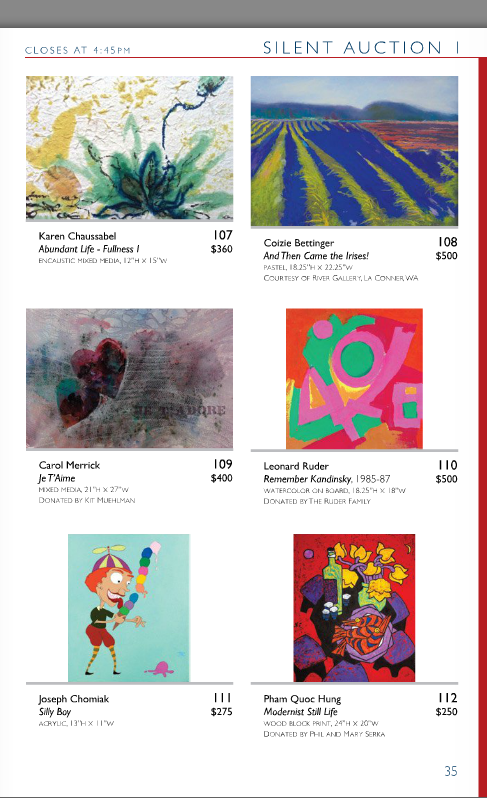 I really liked the idea for the 9×12 works on paper show at the Fort Worth Community Arts Center and sent them 5 pieces. 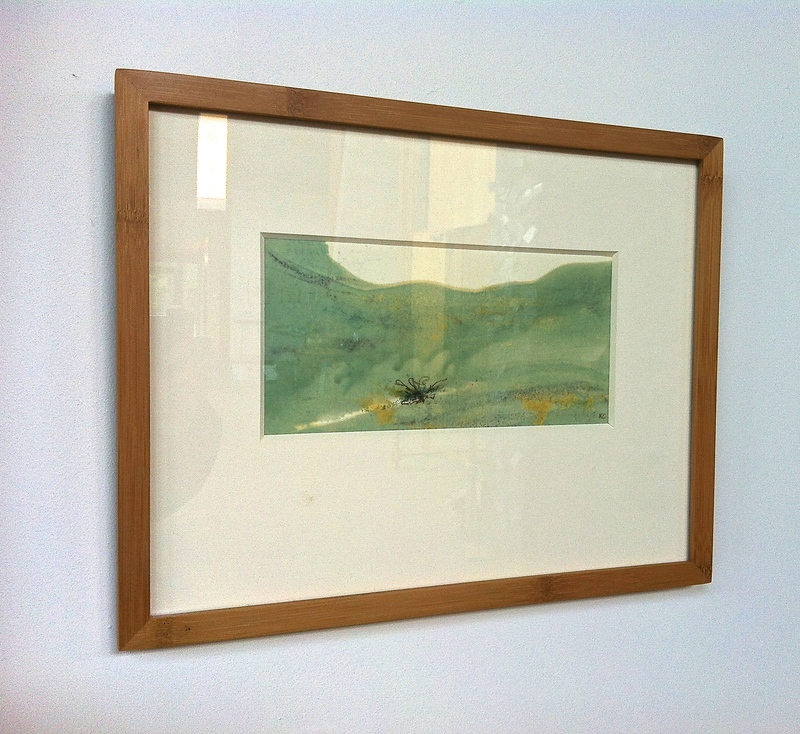 4 of them are collages with thread and one is an encaustic monotype. 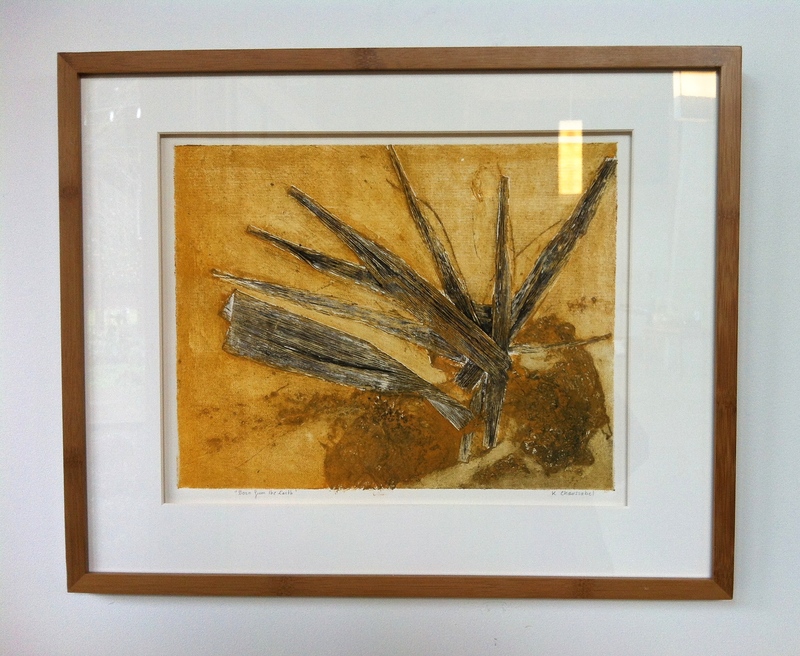 The following piece, called “Life Force” is a collage of kozo paper with ink washes, collaged thread and a small piece of encaustic (in yellow and blue). 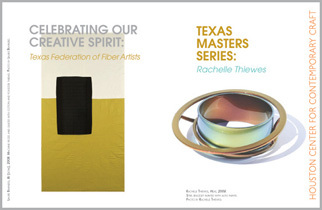 Come and join me on Friday November 2oth at The Encaustic Center in Richardson for the opening of “Two Journeys” from 6 to 9PM. Hours for public viewing are from 8 a.m. to 10 p.m. weekdays and 8 a.m. to 5 p.m. Saturdays. The big Waxy 100 show is coming right up! 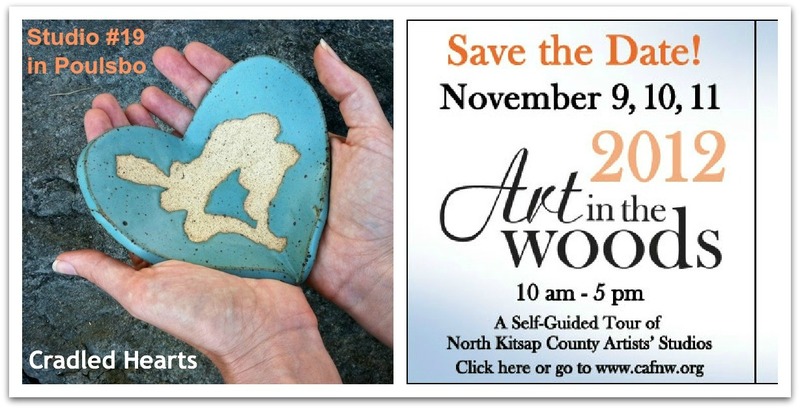 Please save the date for this fantastic event! 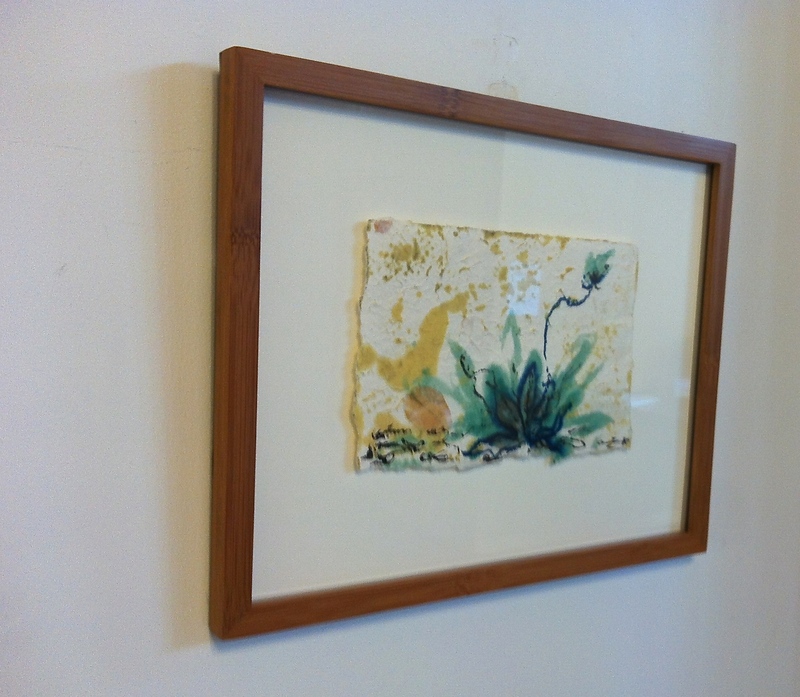 Encaustic wax painters have created wonderful pieces, all under $100! 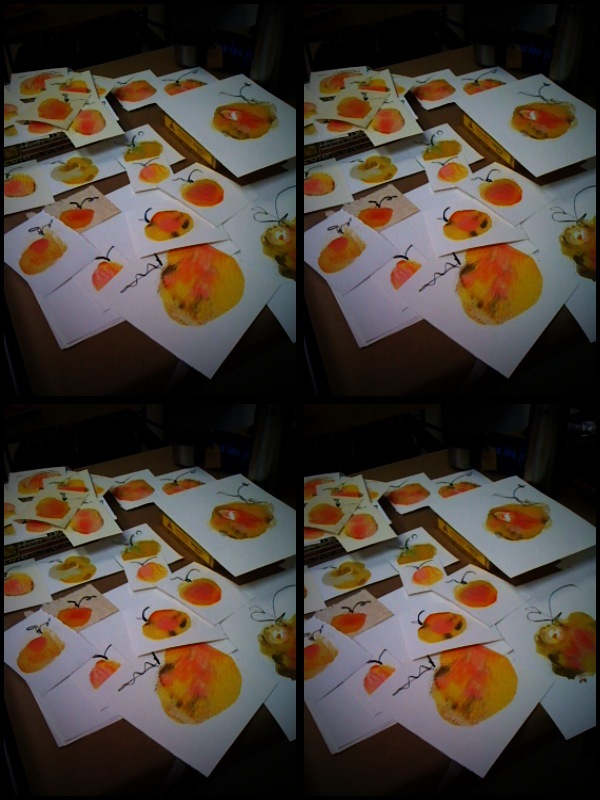 The quality of work and joy creating them really shines through and sharing these works will be great fun. 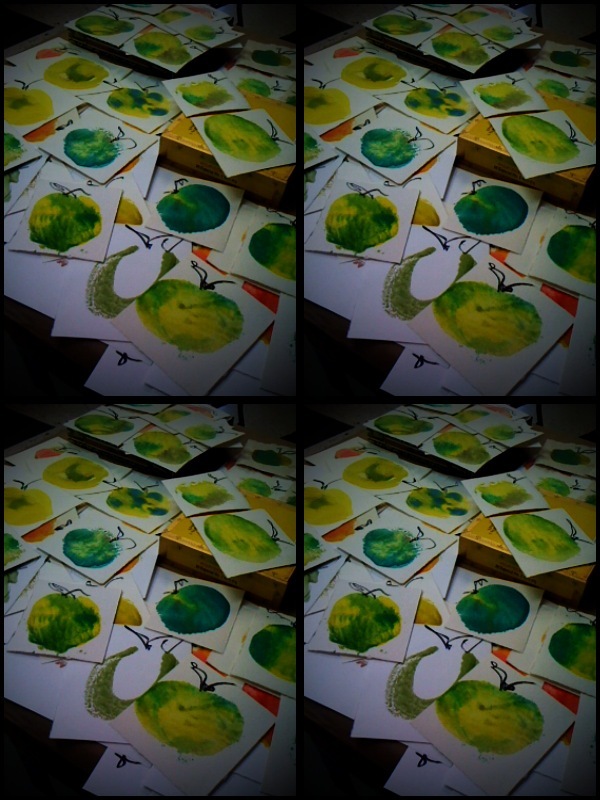 The event will include a demonstration by Bonny on Painterly Techniques and Deanna on Painting and Collage. 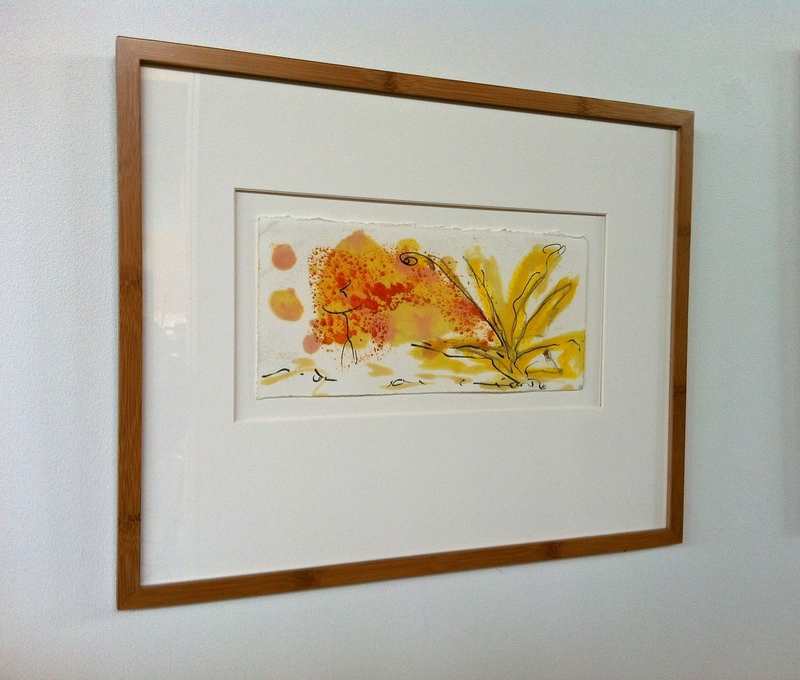 Sign up for one of our workshops or workdays that evening and receive 10% off! 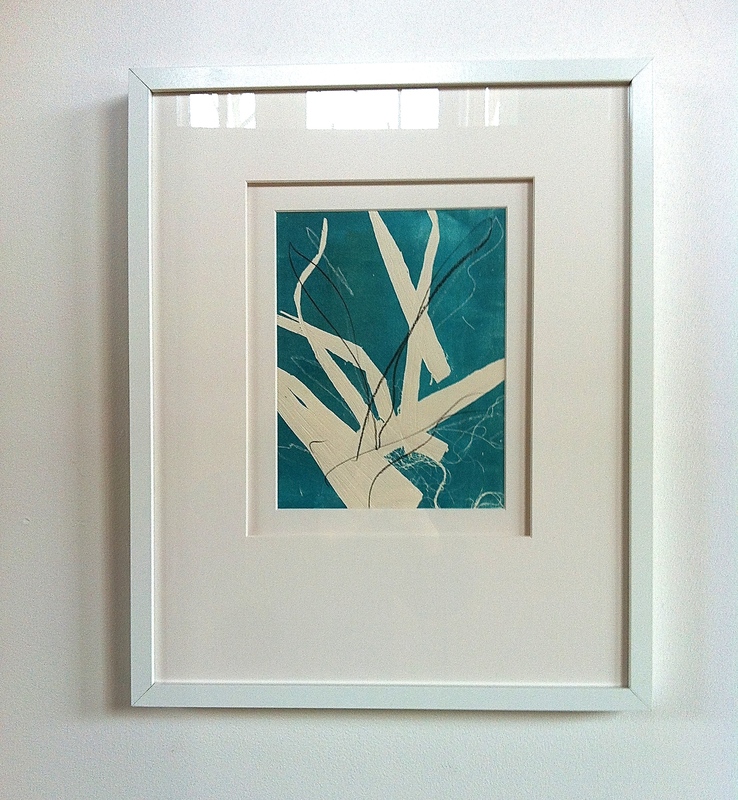 I have two encaustic monotypes in the MELTDOWN show at the Art Hotel Gallery in Dallas. 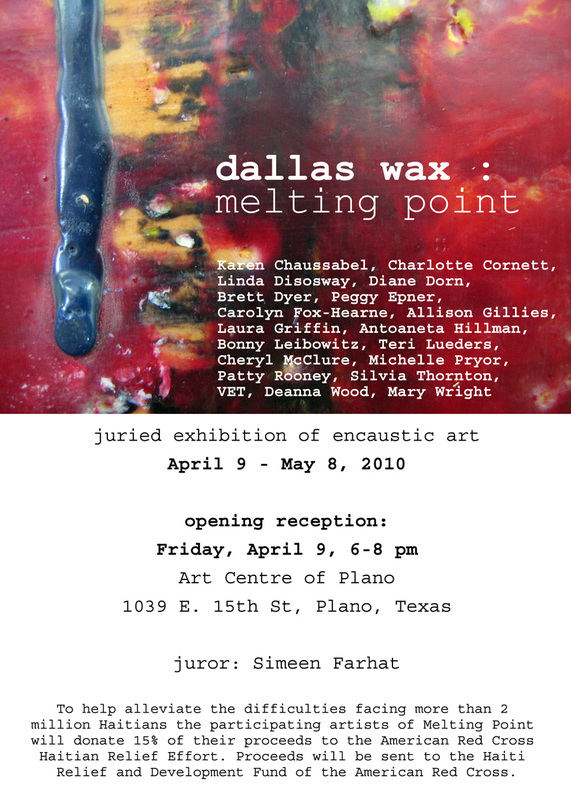 The show showcases TEXASWAX Dallas encaustic artists. I will be at the opening on July 11.